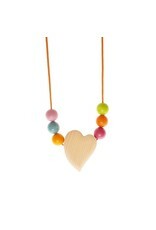 A beautiful nursing necklace with a wooden heart and sixteen small wooden beads for breastfeeding mums. 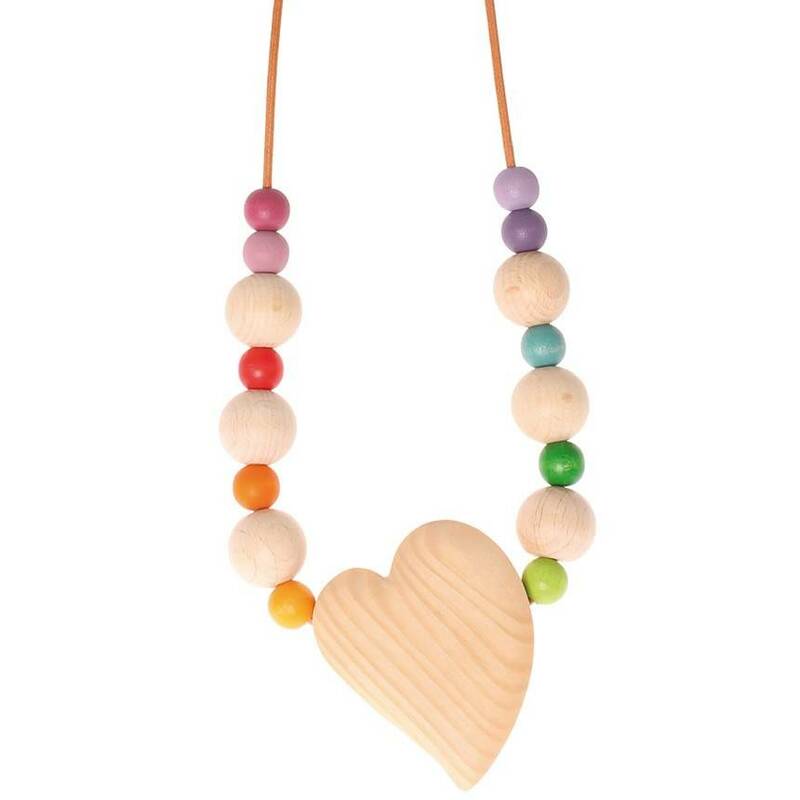 Babies can get easily distracted whilst breastfeeding but this necklace can help to focus your fidgety baby, making for a more peaceful and relaxed feeding session. 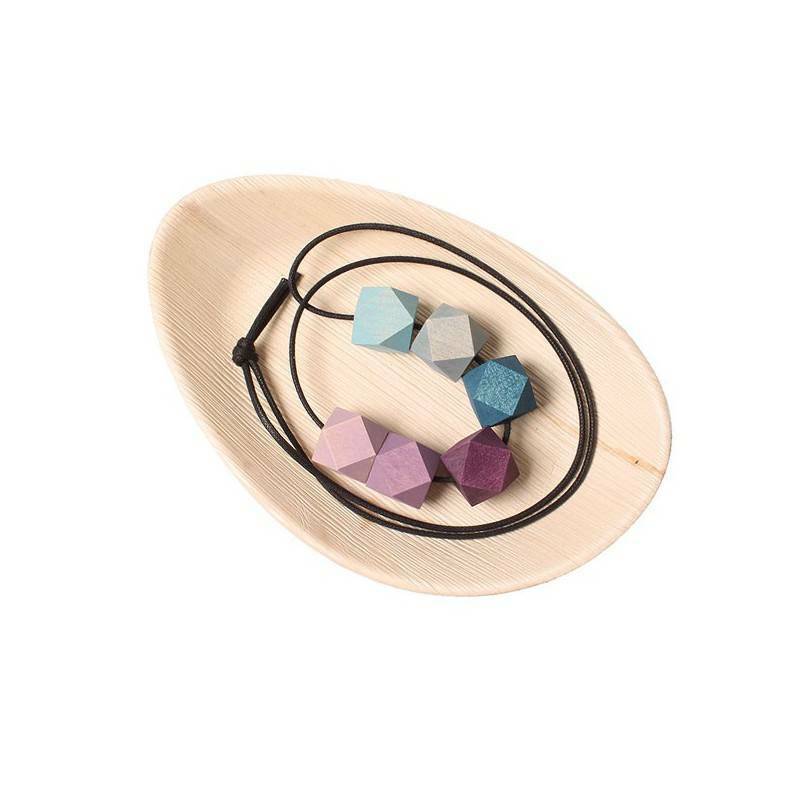 This necklace has a heart-shaped pendant made from alder, treated with a plant-based oil finish, and sixteen maple wood beads. Some of the beads have been stained with water-based colour, while others show their natural hue. 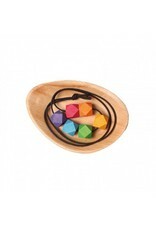 The eco products use to treat the wood allow the natural beauty and grain of real wood to shine through, and means the necklace is perfectly safe for baby to play with while mum is wearing it. This necklace is 82cm long. WARNING! This is not a toy. For your child´s safety, please always make sure that your child only plays with the necklace while it hangs around their mother´s neck. No child should be allowed to wear the necklace or be left unsupervised with it. The quality of these toys is superb and their appeal is timeless – we’re sure that they will be treasured not only by your children but by your grandchildren too. 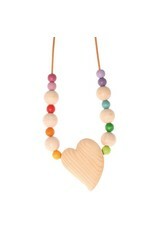 A beautiful nursing necklace with a wooden heart and six chunky coloured beads for breastfeeding mums. Babies can get easily distracted whilst breastfeeding but this necklace can help to focus your fidgety baby, making for a more peaceful and relaxed feeding session. 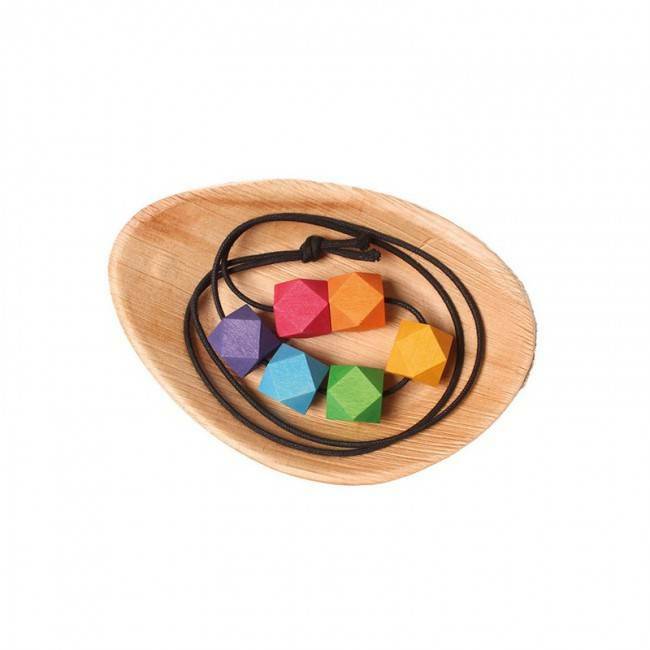 This necklace has a heart-shaped pendant made from alder, treated with a plant-based oil finish, and six maple wood beads, stained with water-based colour. 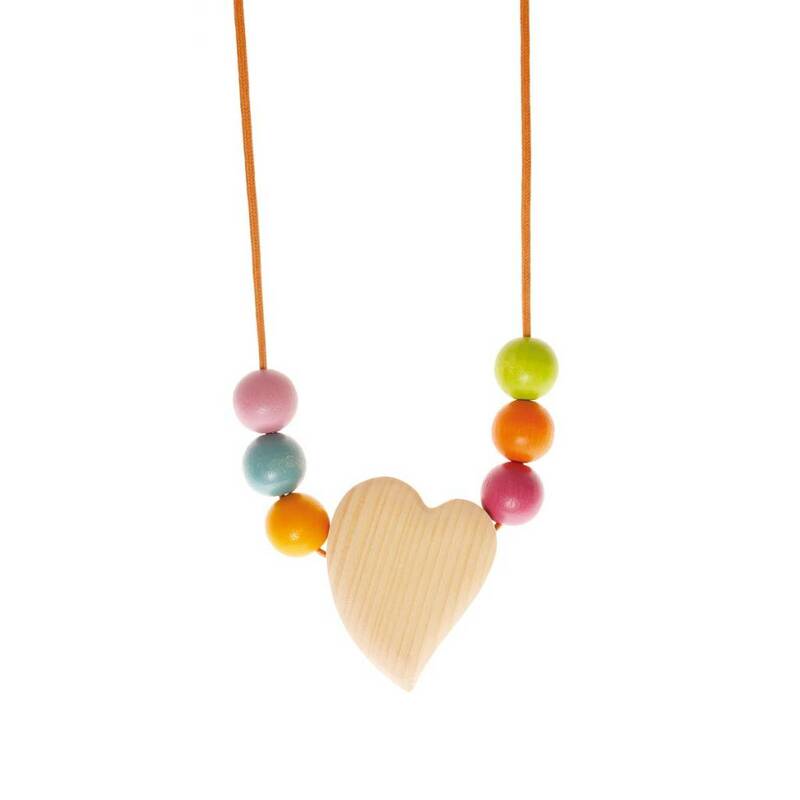 This allows the natural beauty and grain of real wood to shine through, and means the necklace is perfectly safe for baby to play with while mum is wearing it. 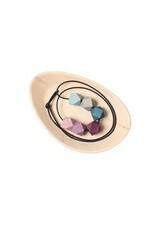 This Nursing Necklace is a wearable sensory experience that engages a fidgety baby. With its eye catching and easy to grasp design, it will capture baby's attention thus reducing distractibility and encouraging a peaceful and relaxed nursing session. The wooden beads are made of maple wood. The colours are from a non-toxic water based colour stain. Wood is an ideal material for baby's first sensory impressions, as it has many different sense experiences. Bacteria cannot breed on wood. This is especially true for non-varnished wood, as all Grimm's items are. 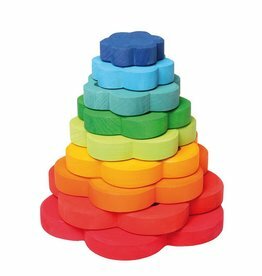 Grimm's is all about the rainbow, happy colours, creativity, and the imagination. Grimm's is inspired by the philosophy of Waldorf education. Their aim is to help children discover and develop their own creativity. Warning - This is not a toy For your child's safety please always make sure that your child plays with the necklace while it hangs around the mother's neck. No child should be left unsupervised with the necklace.